Fruit juice counts as a “five a day” But Judy More, a paediatric dietitian, says, ‘Fruit juice has a huge sugar content and contains acid, so is very cavity-forming. Children are better off eating a piece of fruit and drinking water. If they do have it, dilute one part juice to 10 parts water.’ Smoothies are also bad with their high sugar content and their ability to adhere to the tooth’s surface for a long time. These should also be restricted to mealtimes. Raisins are thought of as a healthy snack, but the process of drying grapes concentrates the sugar content. Other dried fruit, such as apricots, are possibly not as sticky, but still have a high sugar content. People don’t realise the perils of fizzy water, which contains carbolic acid – It’s not as bad as cola, but still causes problems such as erosion. A lot of medicines are sugary to make them taste nice,’ says Andrew. ‘A short course of antibiotics over a week or so is not going to be a problem for most children. But for those on long-term medication, having a spoonful three or four times a day could be an issue. Get the sugar free versions before your child gets used to the sugary counterpart! When to begin: Teeth need looking after as soon as they start appearing. A lot of parents brush their child’s teeth standing in front of them, but then they move their head back, so you’re chasing them, which can be traumatic. It’s a lot easier to brush your childs teeth from behind. When to brush: Don’t brush teeth straight after eating. Sweets and fizzy drinks soften the tooth enamel, so if children then go and brush, they’re almost brushing the enamel away. 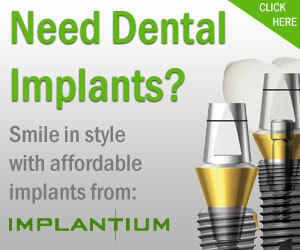 Brush twice a day: before eating in the morning, and before bed – about an hour after the last meal or drink of the day. 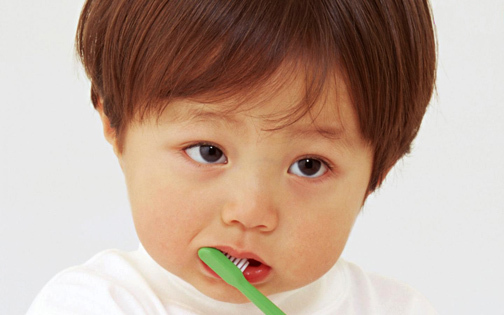 What to brush with: Use a child’s toothbrush and a fluoride toothpaste. Children under3 years of age need a smear of toothpaste containing fluoride. After that, a pea-sized amount will do.